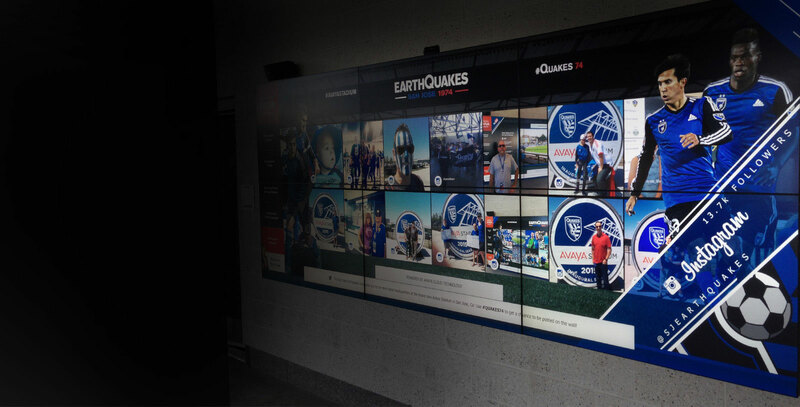 Design Reactor partnered with Avaya to enhance the fan engagement touchpoints at Avaya Stadium, a soccer-specific stadium in its Inaugural Season for MLS team the San Jose Earthquakes. 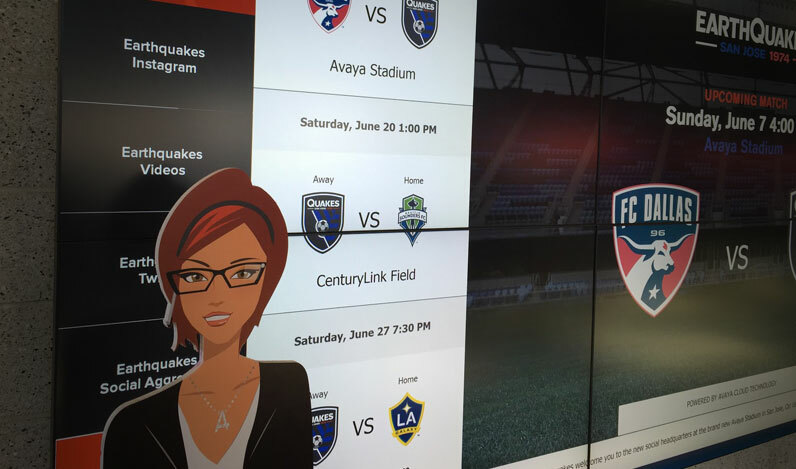 Incorporating gameday touchpoints that fascinate the modern fan, Design Reactor built a Fan Engagement Wall that combines cloud-technology, social media, and Avaya's cutting-edge engagement solutions. 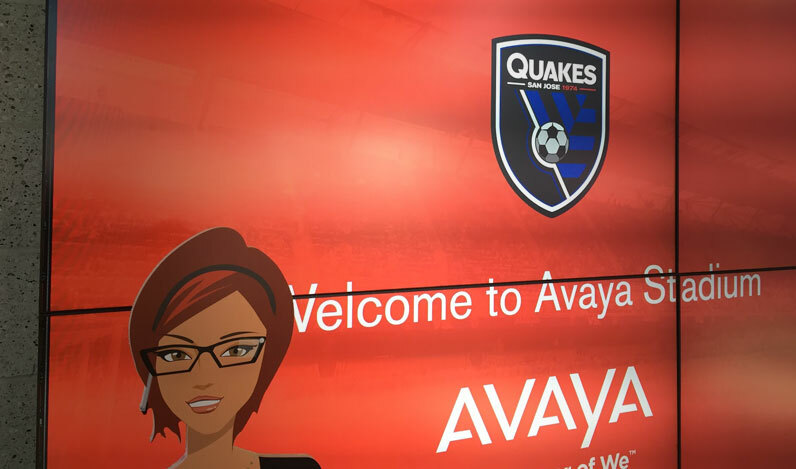 A pioneer for fan engagement, Avaya is continually looking for new and exciting ways to enhance the overall customer satisfaction and provide a cutting-edge gameday experience. 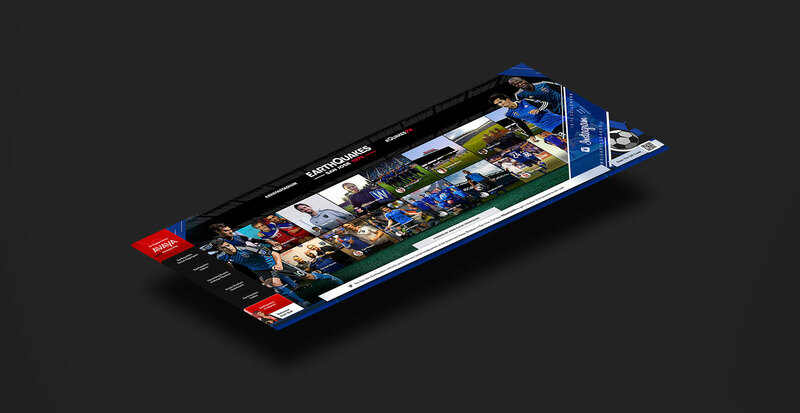 Drawing upon the digital, mobile capabilities of today's fans, we were able to create a new, impactful, digital and social interaction for the in-stadium experience. 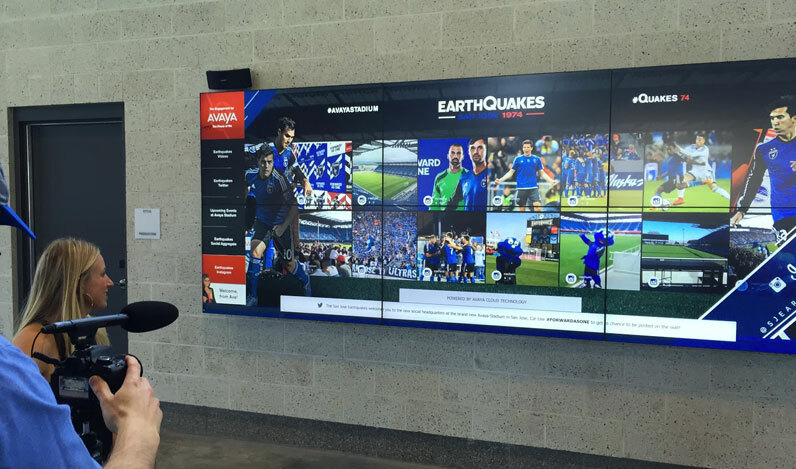 By aggregating and sharing both Avaya Stadium and the San Jose Earthquakes content in centralized social media hub, the Fan Engagement Wall created a unique and custom experience for the club, the owners, and the fans. 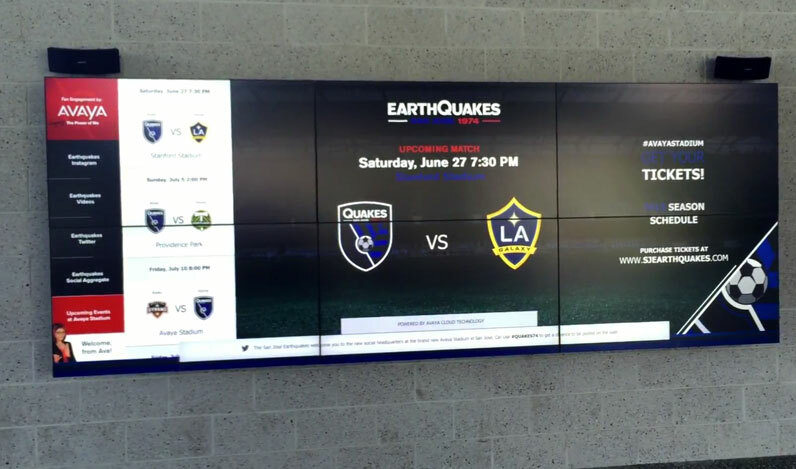 With customized and sleek templates, real-time data feeds, and integration with leading social media sites like Facebook and Twitter, the Fan Engagement Wall at Avaya Stadium is an example for stadiums of the future providing an engaging, informative, and interactive experience for fans of all ages.